Joe Georgeson’s roofing project was a lead that came in referencing reoccurring ice dams. Along with the recurring ice dam, Joe had a new issue where a leak started around his chimney. After getting in contact with Joe I scheduled a time where we could meet and go over the condition of his roof. I met with Joe at his residence in Fredonia to evaluate the condition of his roof in January 2018. While meeting with Joe and his wife I got a briefing of the issues that they had with their roof. 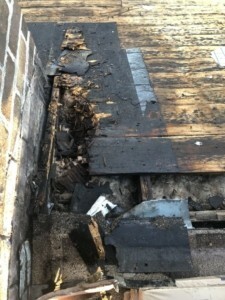 We also talked about the issues that they had with the previous roofing company that installed it. 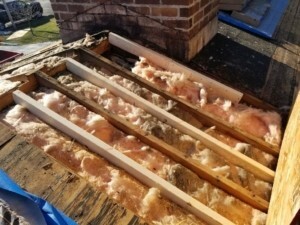 They informed me that the current roof was approximately 10 years old and they started having issues with it shortly after it was installed. After talking about their previous roofing project, it was clear, they were unhappy about the entire experience. Joe and I continued with my inspection which included entering his attic to evaluate his ventilation, inspecting the roof, and also inspecting his two chimneys. 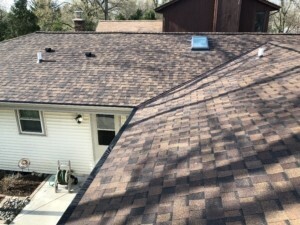 After completing my inspection; I found inadequate attic ventilation, chimneys that needed new flashings and tuckpointing, and signs of improper shingle installation. 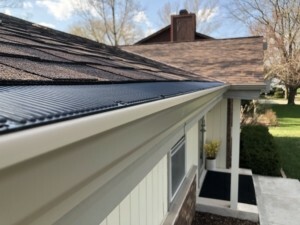 I also informed Joe that the specific gutter/guards he had on his home were restricting the amount of water entering his gutters. This resulted in having a higher probability of ice dams. After going over what I found in my inspection I informed Joe that I would put a detailed proposal together explaining what I found. Joe asked if I could come back and go over it with him and his wife which I agreed would be a good idea. After meeting with Joe and his wife a second time they decided we were a good fit for their project. 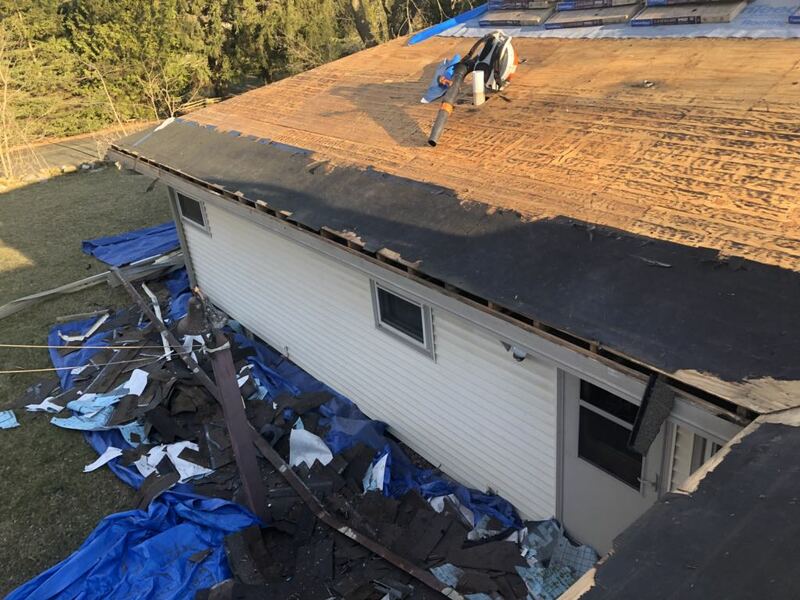 We decided that the large chimney would be tuck pointed, the roof would be replaced, a new skylight would be installed, new gutters would be installed, and new gutter guards would be put on the gutters that allowed more water intake. We also agreed to make some minor adjustments to his attic ventilation to allow more cool air intake. 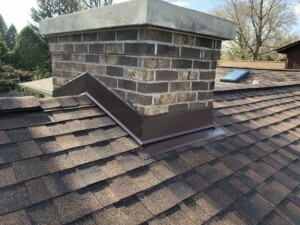 After the large chimney was tuck pointed we continued with the roofing portion of the project. 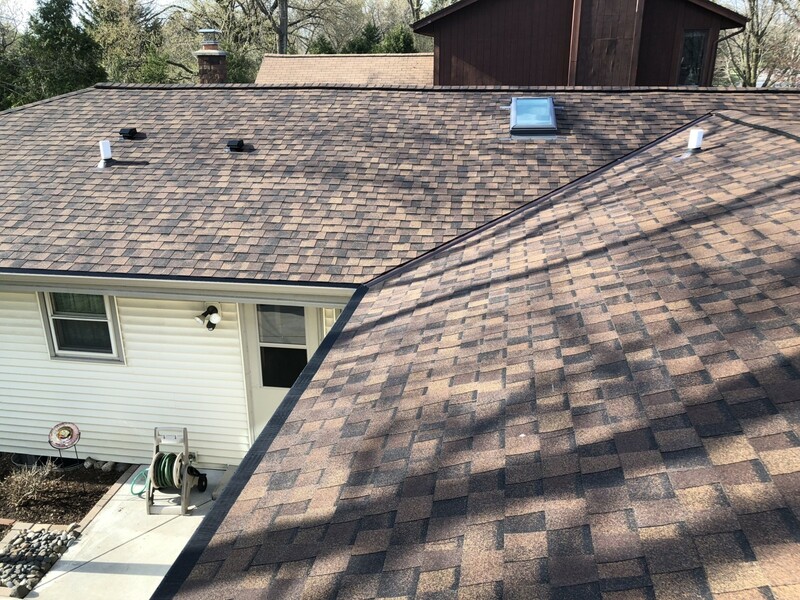 The roof portion included a complete re-roof, two custom chimney flashings, and skylight installation. After removing the shingles and roofing underlayment further damage to the sub-roof was located. We also discovered that around the entire perimeter of the house was a gap between the wood fascia and sub-roof. This was allowing excess water into the house during the freeze-thaw. After addressing these issue we resumed with the shingle roof installation which was completed in one day. The final part of the project was installing gutters and gutter guards later that week. 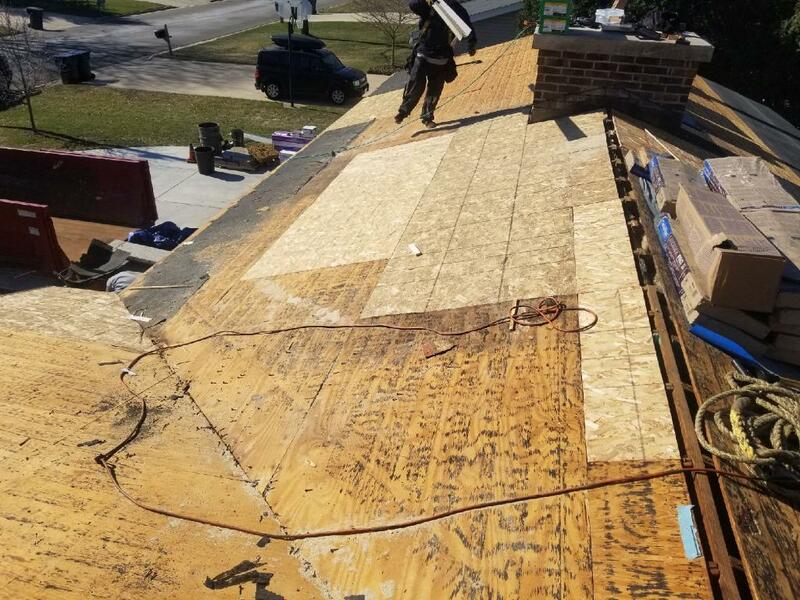 The entire project went smooth and left Joe and his wife a better roofing experience than they had previously been involved with. 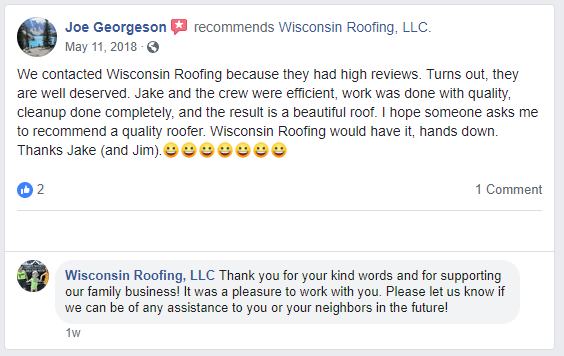 Joe referred us to his neighbors and left a great review online to explain how pleased he was about our roofing services.